On this date in 1930, Chicago Tribune reporter Jake Lingle was murdered in the Illinois Central Train Station underpass. Lingle, a “leg man” who gathered the information and phoned it in to news writers, covered stories from Chicago’s underworld. It was first thought that Lingle’s murder was related to the news stories he covered. It soon emerged that Lingle was on the payroll of local mobsters. A hoodlum named Leo Brothers was arrested for the crime. He was tried and convicted of Lingle’s murder and sentenced to fourteen years in prison. He was paroled in eight. The light sentence was due to the belief that Brothers was taking the fall for someone else. 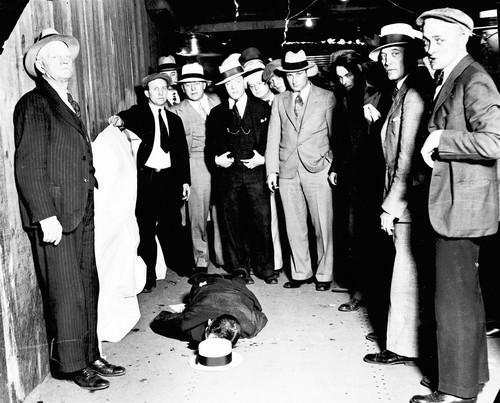 A popular theory of the motive for the murder is that Lingle was attempting to blackmail Al Capone in order to get money to pay off large gambling debts. If that was the case, Lingle learned the hard way what most people in the Windy City already knew: You don’t cross Big Al.